Posted on June 24, 2015 March 15, 2016 by daddydonnellPosted in children, family, fatherhood, humor, Long Reads, ParentingTagged baby, boys, child, children, dad, daddy, family, fatherhood, humor, husband, motherhood, parenting, poop, potty training, stay-at-home dad. Next Next post: Eulogy For A Bad Dog. Bad Dog. NSFW! Because I laughed a goodly snorting laugh in ye olde cube farm. Loved it! As a mum of three – the youngest of whom frequently requires prescription laxatives and is very mischievous (not a good mix), I am all too familiar with the kind of a-poo-calypse moment you describe. It is a mark of how inured to it I have become that I was able to eat while reading your post! 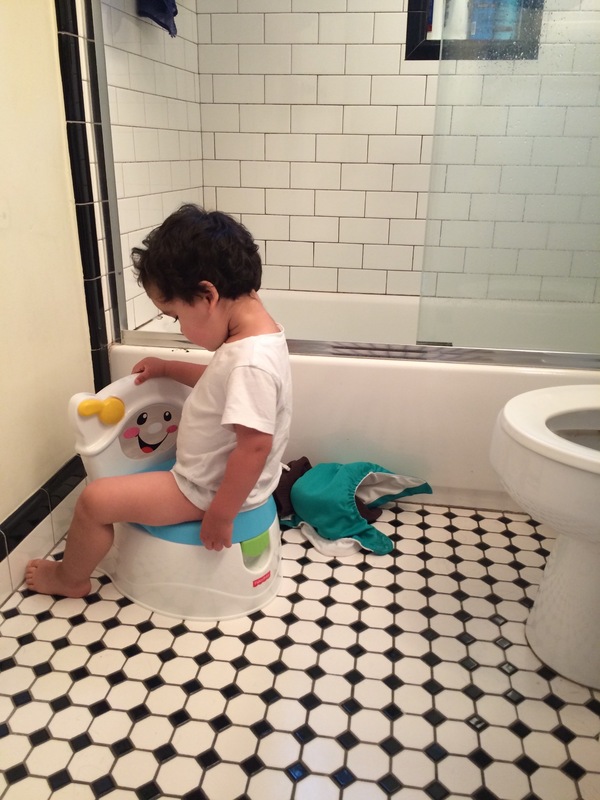 Good luck with the potty training – he’ll get there when he’s ready. The funniest time was when it (yes, THAT) got squirted in Daddy’s eye. Funny for me, anyway!